After seeing all the pretty Belcarra Blouse photos on the Sewaholic website, I had to jump into the fray. The Belcarra Blouse is a great basic top with raglan sleeves and a scoop neck that looks like it flatters a variety of figures. It’s available as a PDF for immediate download, which makes it a perfect impulse purchase. 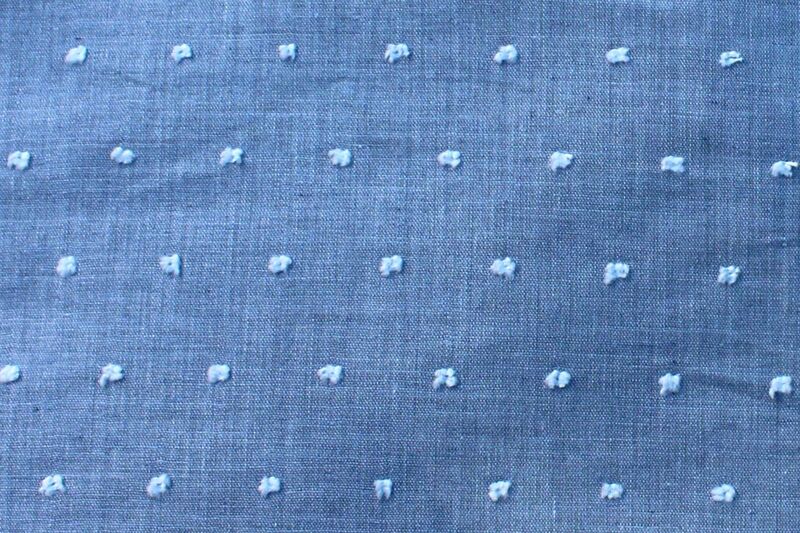 The maybe gray, maybe blue fabric has raised pin dots. I’m planning to make Version A. Here’s a better look at the line drawing. View A of the Belcarra Blouse. Here’s a closeup of the unusual dots. As you can see, the pin dots are raised and kind of fluffy. This is the first time I will be working with a PDF pattern. When you order one, you immediately receive a link to a PDF file to download. 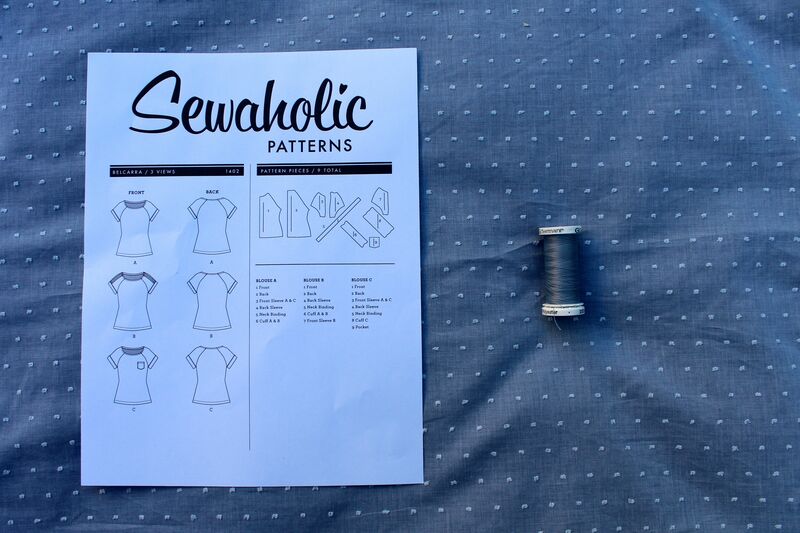 The PDF file is set up to print on regular letter paper, but you have to trim the pages and tape them together so you have whole pattern pieces. (It took me three tries with the test page to get my printer settings correct. This is only because I wasn’t paying enough attention.) 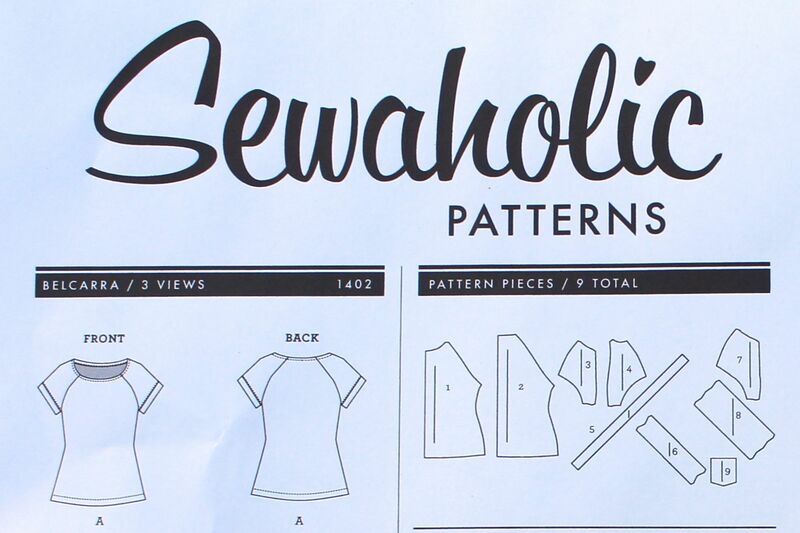 In the case of the Belcarra Blouse, printing out View A meant taping together 25 pieces of paper to make one giant sheet with all the pattern pieces. Here’s what the pieces looked like on my dining table before I taped them together. The lines matched beautiful for the first couple of rows, but the further along I went, the more my lines ended up off by the tiniest of smidges. It shouldn’t affect the project at all. 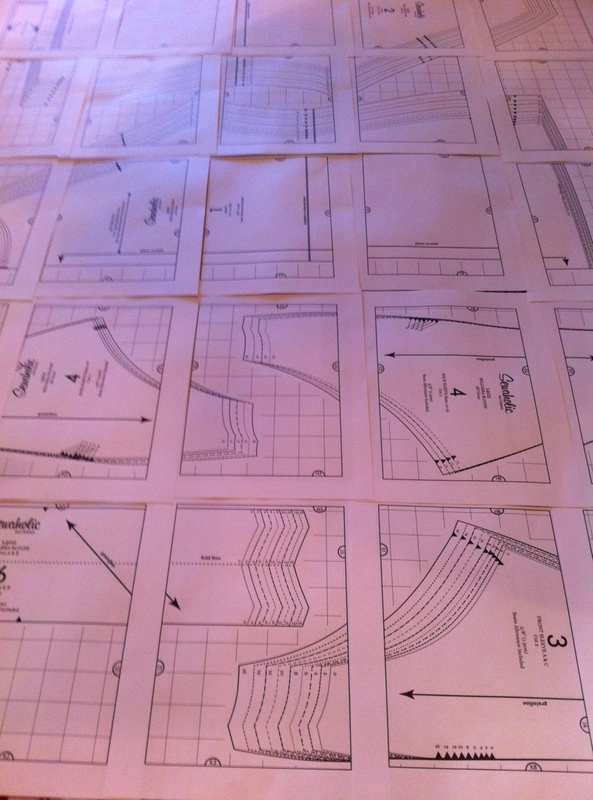 I imagine this would be pretty tedious for a full dress pattern. I’m going to have to make a full-bust adjustment, as usual, so I was very happy to find an FBA tutorial for this blouse on the Sewaholic website. Handy. I’ll make a muslin of the pattern as is, then see how much I need to adjust for the FBA. It will be fun to work on a quick project for a change. If I like the way this turns out, I’m going to want to do a long full denim skirt to go with it. There’s always more to sew.